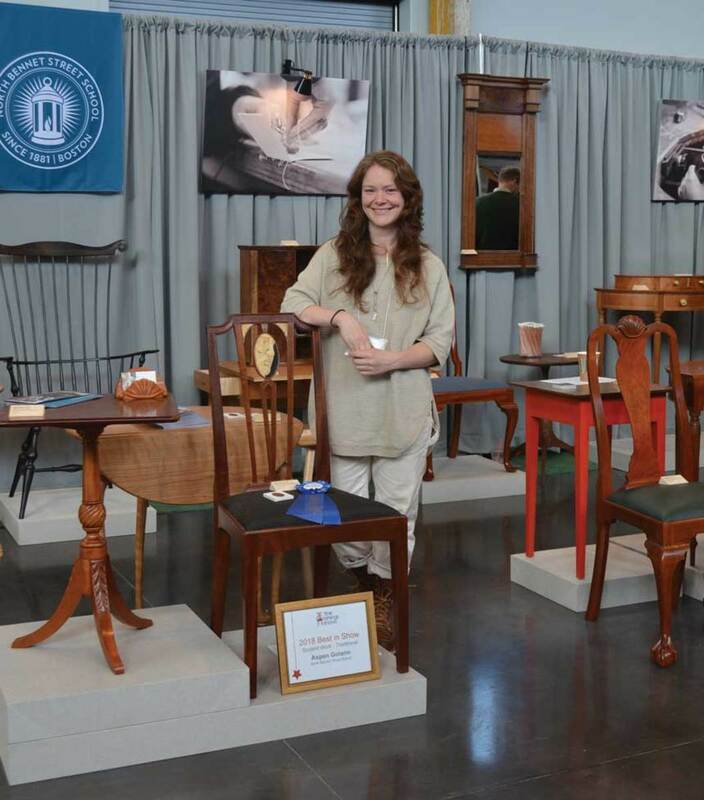 Aspen Golann and her side chair, winner of Best Traditional Piece. 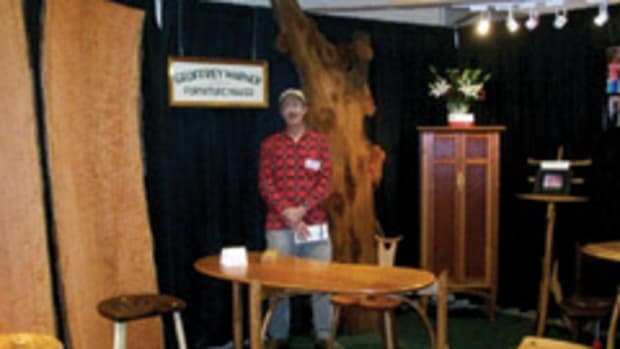 The 23rd annual Providence Fine Furnishings Show was held Nov. 9-11, 2018, at the Waterfire Arts Center, a new venue for the event, in Providence, R.I. 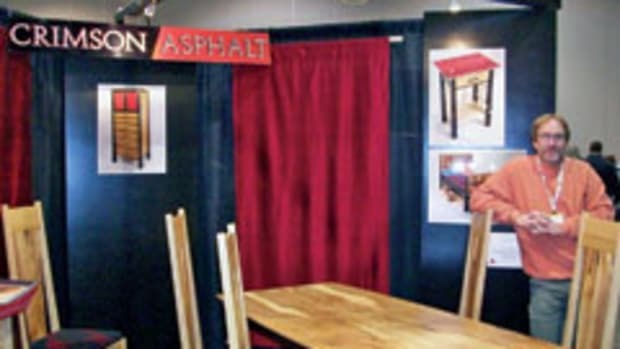 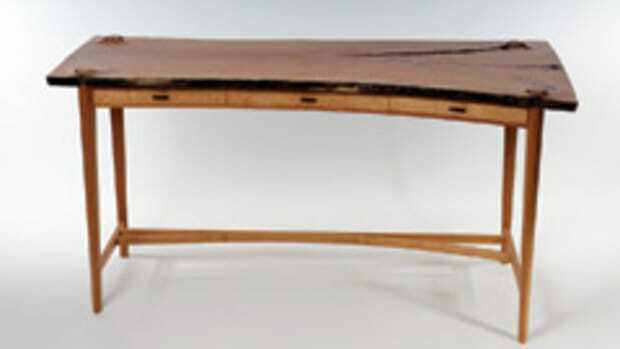 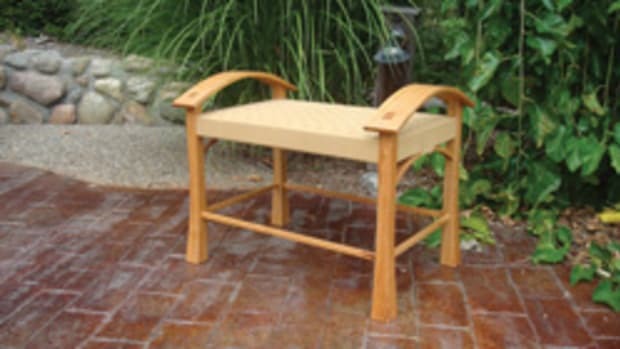 The show featured handcrafted furniture and other items by about 100 juried exhibitors from around the country, primarily the northeast. 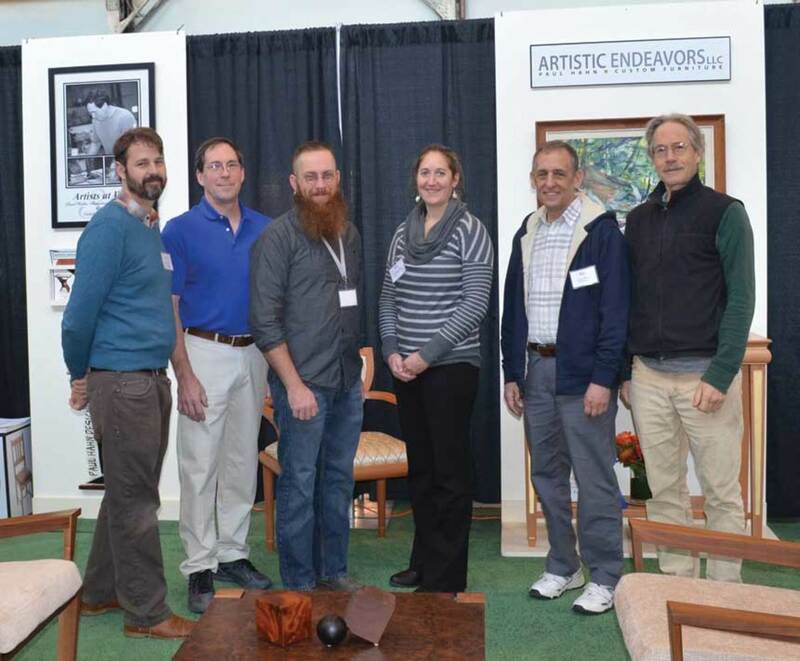 Show director Karla Little reported an increase of 18 exhibitors from the previous show. 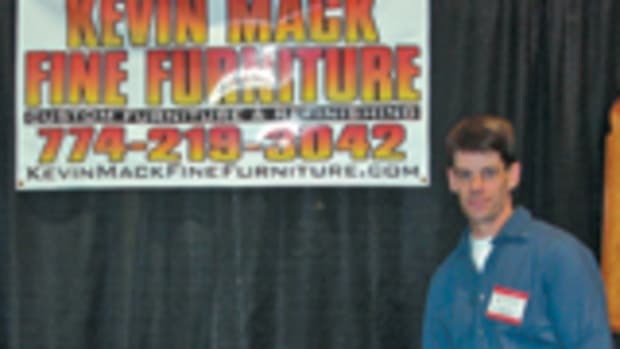 “As always, some exhibitors had record sales, some did very well, some good, some not. 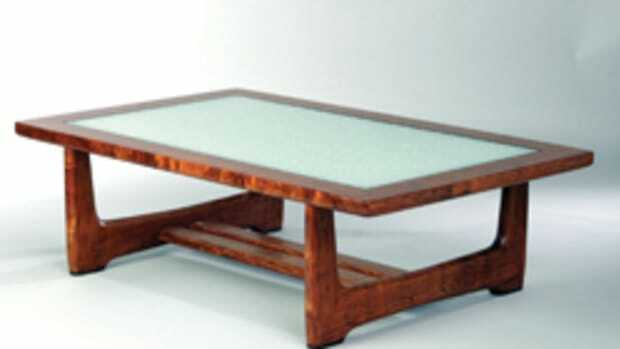 I have already heard of orders and commissions that have come through with more expected. 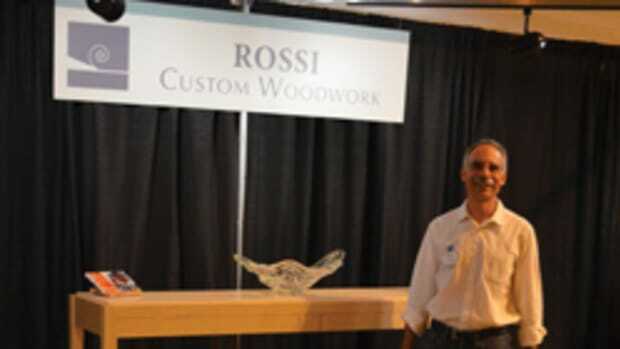 I am currently swamped with inquiries from artists and craftsmen who want in for next year,” says Little. 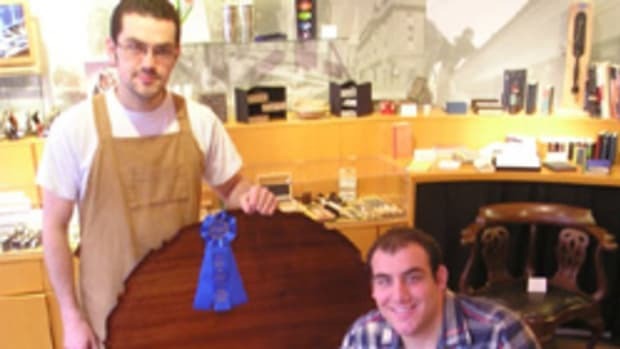 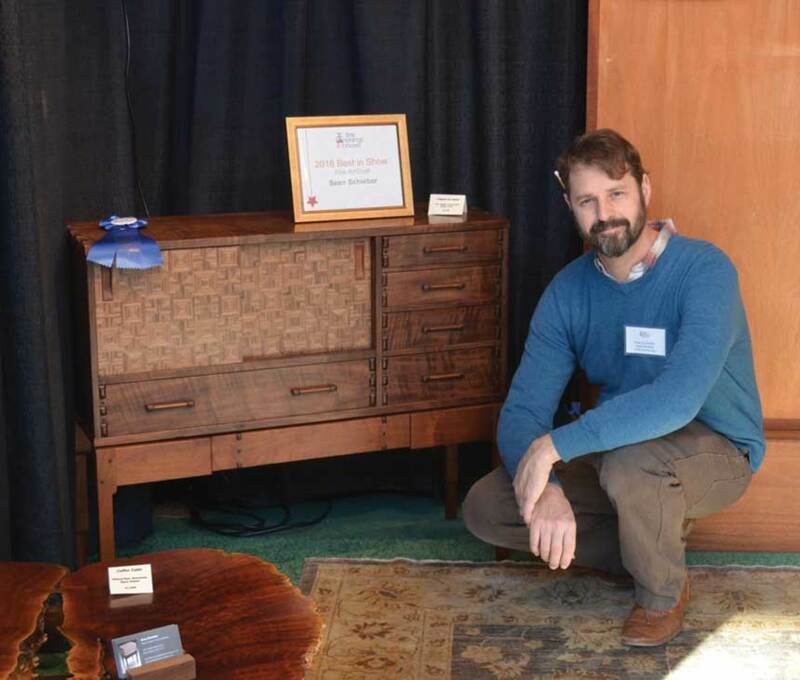 Sean Schieber, winner of Best Fine Art/Craft, and his walnut parquetry chest.